November Specials- NEW FDI “TOTE 20 TUESDAYS”! | Flowers Direct Inc.
November Specials- NEW FDI "TOTE 20 TUESDAYS"! 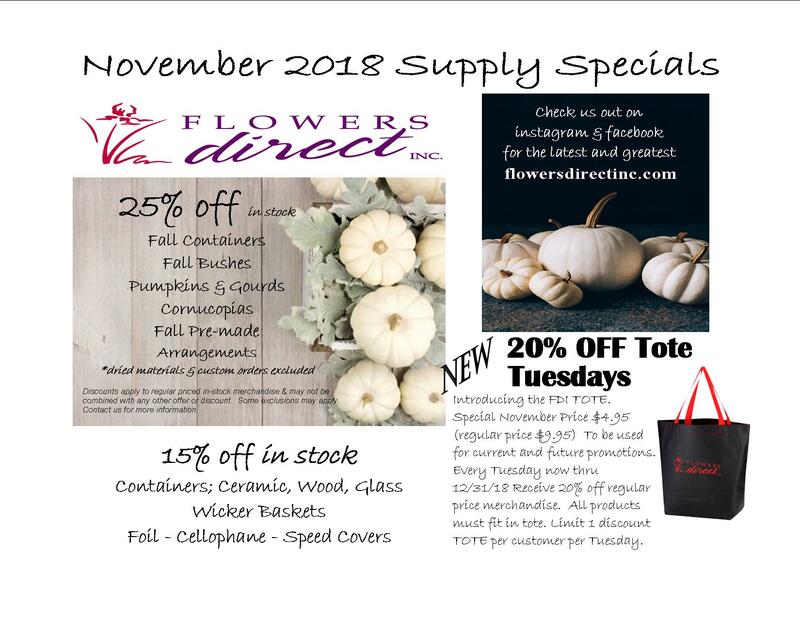 Flowers Direct Inc. > Flower Talk > Monthly Specials > November Specials- NEW FDI “TOTE 20 TUESDAYS”!